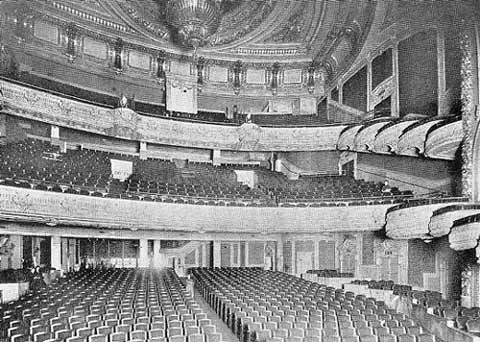 The theatre is said to be haunted by many ghosts (possibly over a hundred) including a lady cellist dressed in white in the pit, a tightrope acrobat, and some have claimed to have seen the ghosts of Judy Garland at the entrance door that was built for her. Built as a vaudeville house by Martin Beck, it became a cinema and later the mecca for aspiring artists. In 1965, it was renovated and became one of the premiere houses for Broadway musicals. In November 2015, the New York City Landmarks Commission held a public hearing about a plan to raise the building 29 feet and build 4 stories of retail shops underneath (3 of them below ground).